Secret of Mana bundle coming to the Switch in Japan - Get your Twitter fingers ready! Now we know what Square Enix was teasing when it released a video of its staffers playing Seiken Densetsu III on the Nintendo Switch earlier this week. The first three games in the classic action RPG series will be crammed into a Seiken Densetsu Collection bundle this summer for all to enjoy. Well, at least for Japanese gamers to enjoy. The Seiken Densetsu series has a long history of confusing localization titles and what not. To break it down easily, here is what will be included. Seiken Densetsu: Final Fantasy Gaiden – Released in North America as Final Fantasy Adventures and in Europe as Mystic Quest for the original Game Boy in 1991. The version in this bundle is the original black and white game, not the remake recently put on smartphones and the Vita or the Game Bot Advance remake Sword of Mana. In addition to releasing to glorious original Game Boy game fully intact, one of my all-time favorites, Square Enix also confirmed that both Secret of Mana and Seiken Densetsu III will support up to three players through multiplayer. Note: the bundle does not include Legend of Mana or any of the post-2000 games in the series, Dawn of Mana, Children of Mana, or Heroes of Mana. 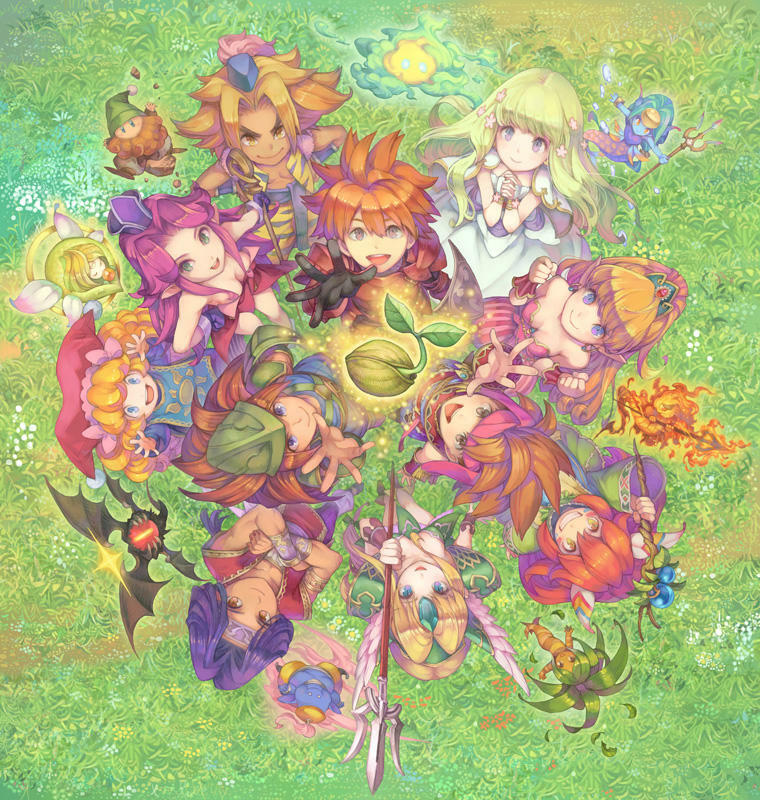 Legend of Mana is already available on PlayStation Network and can be played on a Vita, so I’m fine with it not making an appearance. The rest… meh, we don’t necessarily need them. Call your senator, barrage Square Enix with tweets, we want this! We can get this done, you guys! Twenty years have come and gone since Seiken Densetsu III never came to North America, and that is the only thing holding this beautiful bundle back from a proper North American release. Aim your Twitter posts at Square Enix, and let them know that a region-free release in Japan is not enough. This game is overdue for its North American debut, and if it were to happen, it could rewrite Square Enix’s history. Plus, I just really want to play Secret of Mana with multiplayer on the Switch screen. That would be fabulous! My guess is that this bundle confirms Square Enix has zero interest in supporting Virtual Console, but I’m fine with that. If we get bundles this great, and not to mention the pretty new art behind them, then I can support its decision. Square Enix has to show equal faith in its North American market, which is has been doing a good job of lately. How about it, Square Enix? You gave NieR: Automata and I Am Setsuna a chance, and you made a lot of fans happy. I can’t think of a better way of helping close this huge gap in your company’s North American history.